I'm like a woman possessed these days - a woman possessed by scones. 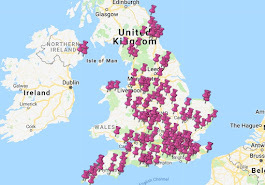 For four years I have been trotting around the country eating them for this blog, which does require a certain devotion to the cause. 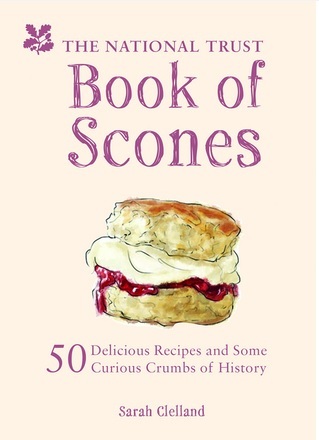 But once the Book of Scones was published, I decided I had to bake all 50 recipes. I am not an expert baker. If I can do it, anyone can. I've already reported on the results of my first five scone bakes, including the astoundingly delicious Earl Grey scone. Where would the world be without the Terry's Chocolate Orange? Sad and diminished, that's where we'd be. And the very excellent NT property, Goddard's up near York, probably wouldn't exist, as it was built by Noel Goddard Terry. You possibly need to chop the Chocolate Orange into smaller pieces than I did before adding them to the scone mixture - I was eating the Chocolate Orange faster than I was chopping it, so I had to speed things up - but they taste divine. If you're in a hurry, then the Wet Nelly scone from Speke Hall is probably not for you. This is because you have to make the Wet Nelly (a type of bread pudding) before you put it in the scone mixture - unless you have loads of Wet Nelly lying around, in which case work away. My friend Kathy came to my house as I took these out of the oven and once she got over the shock of seeing me baking, she was genuinely shocked again by how absolutely delicious these scones were. Well worth the effort. I'm not the world's biggest fan of rhubarb - as you know if you read about my trip to Clumber Park - but the rhubarb and ginger scones were fantastic. These were amazing - they taste like Irish soda bread in a scone. The cherries were optional; I would probably leave them out next time as I think the scones taste good enough without them. It was very late when I baked these scones, it was hot and the raspberries were turning to mush, and I'd eaten most of the Milky Bar Buttons. But somehow these still turned out to be absolutely delicious. It's the magic of the scone. So there you have it - 10 scones done, 40 to go. Remember to send me your pictures of your scone bakes - I've seen some absolute corkers that put my efforts to shame. I do love how honest you are about eating the ingredients as you go. My baking suffers from that problem, too!